When we refer to duplicate content as a penalty, it does not mean your search rankings will suddenly drop to page 56 in major engines. However, your website will not be rewarded for posting common content, and tends to appear in the supplemental results instead. This can actually impede traffic to your website. To help avoid these penalties, utilize article compare tools that calculate percentage difference of duplicate content. Additionally, there are a few other tactics to ensure your web pages are seen as unique by search engines. For example, the first 50 words on a page should be as unique as possible. This can be achieved through providing a company introduction to each article you post or through adding images to break up the text. Additionally, if you have a blog, you can help increase the amount of unique content on your page through enabling comments. 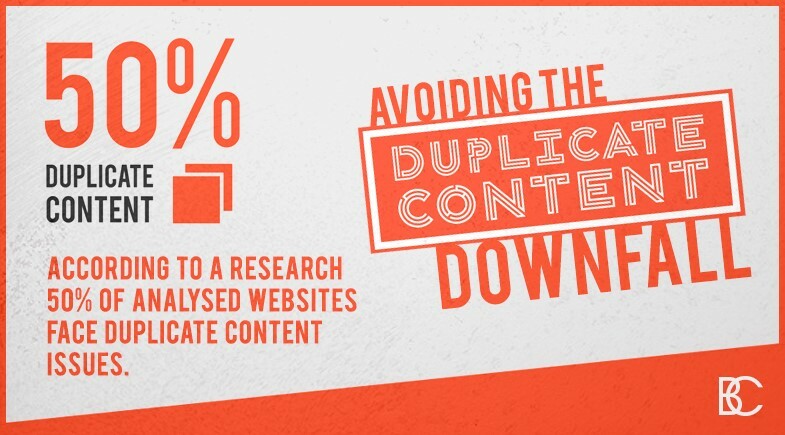 Duplicate content penalties have the potential to make or break your site. If you are using similar content across multiple sources, the best thing to do is reword so that it is significantly different. This will remove the need for search engines to redirect similar content sources to supplemental results, ultimately giving you double the ability to rank well. Brian Cozzi, Inc. specializes in website development, search engine optimization, and social media marketing, which all intertwine to help improve your rankings and draw more traffic to your site. Contact us now to learn more about our services and how we can address your specific needs.